It is here! 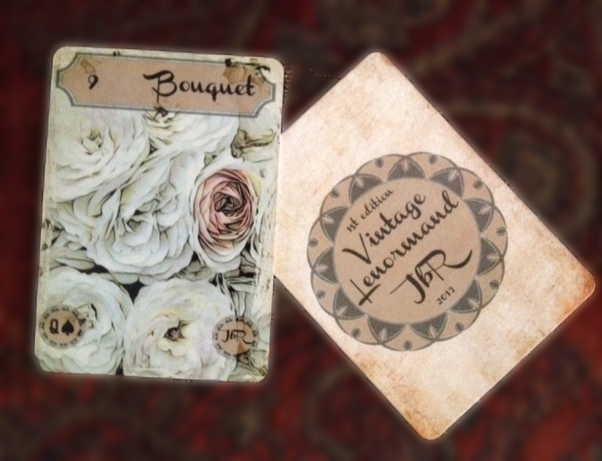 The 1st edition of Vintage Lenormand has arrived! Now to sew the pouches before mailing them off by 1st Feb. There are ONLY 20 decks left unsold. If you have not yet ordered your copy please contact me here or here with your email address so that I can invoice you. The deck sells at $23.95 excluding postage. I’ll start posting the deck out on the 1st February. ce deck est tout simplement magnifique!!!! Oh, thanks for the offer, but that’s not necessary. I just wanted to let you know that I really like your deck. 🙂 I’m sure things will improve soon, and I’ll get a copy if it’s meant to be. That is very kind of you to say Bobbiejodrake. Here’s hoping that you circumstances allow you to purchase a copy soon, if not first edition, perhaps 2nd edition (assuming there will be enough demand to do a reprint.) 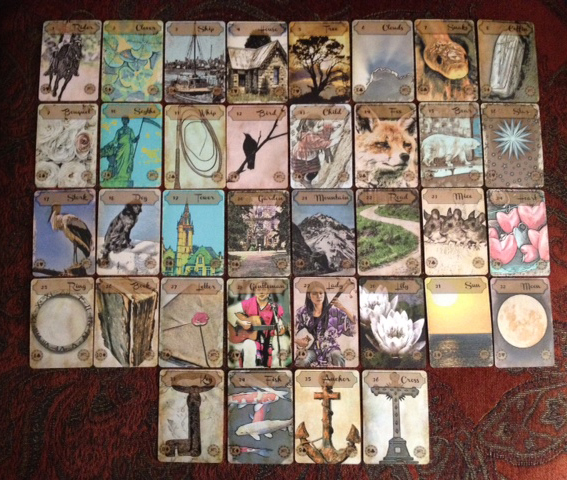 Or… if you are willing I could post a short message on the Lenormand group mentioning that you would like the deck but cannot get one due to your financial circumstances, I could ask whether anyone on the group would be willing to gift you one. I am sure there will be several members volunteering to do this! Even if only to say thanks for the great group! Let me know, okay?